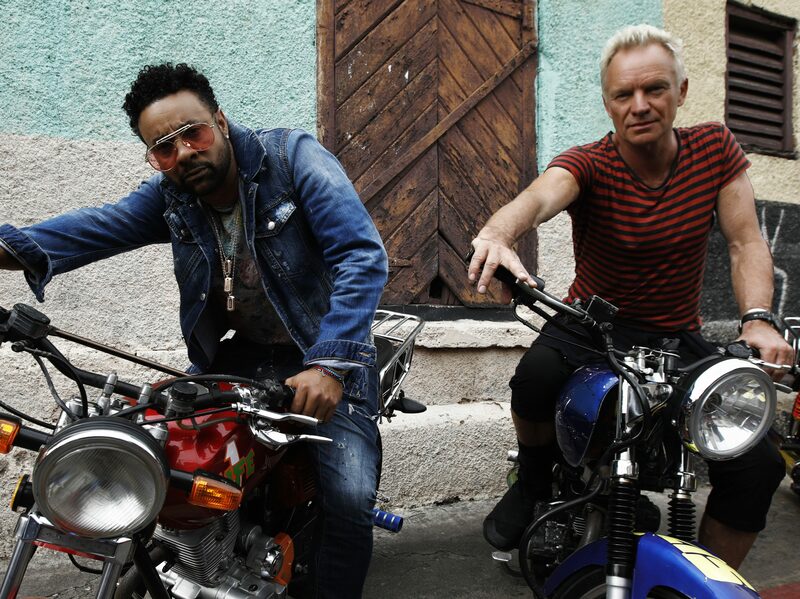 Sting and Shaggy’s new, island-inspired collaborative album ’44/876′ is available now at all retailers and digital platforms on A&M/Interscope Records. In creating ’44/876′, Sting and Shaggy drew from the many surprising connections at the heart of their music. With its title referencing their home country codes, ’44/876′ first and foremost honors the duo’s love for Jamaica: Shaggy’s homeland, and the place where Sting penned such classics as The Police’s ‘Every Breath You Take’. Furthering each artist’s exploration of reggae and its transcendent rhythms, the lead single ‘Don’t Make Me Wait’ – which debuted at #1 on Billboard’s digital reggae singles chart – came to life after the musicians were introduced by Martin Kierszenbaum (Sting’s manager, Chairman of The Cherrytree Music Company and Shaggy’s former A&R executive). The correlating music video, directed by Gil Green, was filmed in Kingston, Jamaica and has garnered over 8.5 million views on YouTube. Although the initial plan was for Sting to lend his vocals and musical finesse solely to this track, the two discovered that their distinct voices blended with incredible ease. Compelled by their creative synergy, Sting and Shaggy soon amassed an album’s worth of material. “Everything about it is organic – it was never planned,” says Shaggy of ’44/876′. Recording in New York City, they enlisted a lineup of esteemed musicians and writers from Jamaica and New York, including the legendary Robbie Shakespeare of Sly and Robbie, dancehall sensation Aidonia, Morgan Heritage (courtesy of CTBC Music Group), Agent Sasco as well as Branford Marsalis and Sting’s longtime guitarist Dominic Miller. ’44/876′ fuses infectious Afro-Caribbean rhythms with irresistible pop melody and massive hooks. In their lyrics, Sting and Shaggy take a cue from mutual hero Bob Marley and present a message of love, hope, freedom, and unity. That optimism infuses such songs as ‘Waiting For The Break Of Day’ (a piano-laced, gently soaring mid-tempo number) and ‘Morning Is Coming'(a brightly swaying track delivering silken grooves and sultry horns). On ‘Just One Lifetime’, the pair uses a bit of poetry lifted from Lewis Carroll’s ‘Through the Looking-Glass’, their warm-hearted storytelling shifting from Sting’s smooth vocals to Shaggy’s masterful flow. And on the deeply stirring ‘Dreaming In The USA’, with its urgent beats and uplifting harmonies, the duo detail their shared experience as outsiders pursuing the promise of the American dream. , Spotify, Tidal and Google Play. You can buy physical copies from Target, Barnes & Noble, and their Universal Music Store. For further information visit Sting and Shaggy‘s official websites, as well as the official site for Cherry Tree Music.